Here is the ultimate collection of Patriotic songs arranged to be played by either full band or by individual soloists (with optional accompaniment CD). For each song in the individual student books, there is a page for the full band arrangement as well as a page for solo use. 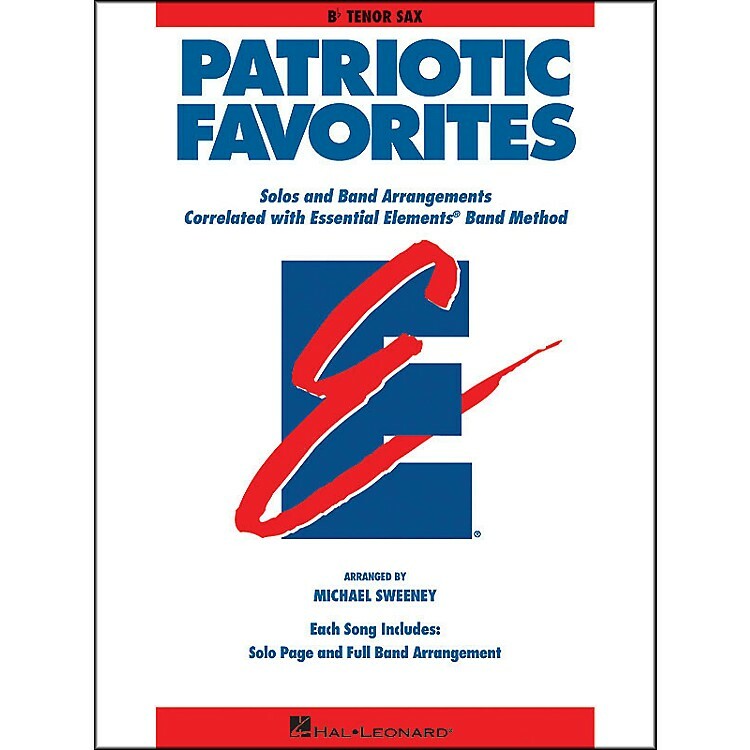 In the same popular format as Michael's Movie Favories and Broadway Favorites, each arrangement in Patriotic Favorites is correlated with a specific page in the Essential Elements 2000 Band Method. However, you don't need to be using this particular method to enjoy these wonderful arrangements! Includes: America, The Beautiful; America (My Country, 'Tis of Thee); Armed Forces Salute; Battle Hymn of the Republic; God Bless America; Hymn to the Fallen; The Patriot; The Star Spangled Banner; Stars and Stripes Forever; This Is My Country; Yankee Doodle/Yankee Doodle Boy.